According to a report out of The Information, AT&T is looking into a Cyanogen-powered phone, because it thinks that Cyanogen could make a compelling Android-alternative option to its customers. That may be better put as, AT&T thinks that by partnering with Cyanogen, it can load up even more garbage bloatware on phones to help push you into their other services, like DirecTV. The entire report is actually quite comical if you stand back at a distance and insert “Amazon” where it says “Cyanogen.” I think you all remember the Fire Phone don’t you? It was an AT&T exclusive that aimed to cut out Google and weaken its control over Android, only to become one of the biggest flops in the history of consumer electronics. But hey, let’s look at what AT&T, Cyanogen, and apparently, ZTE, think a partnership could mean. Of course, the key word, which we tastefully italicized above, is “if.” A big giant “IF,” because no company to date has been able to put a dent in what Google and Android bulldozed their way to some years ago. No offense to Cyanogen and ZTE, but does a scenario with those two, coupled with AT&T scream, “Industry changer!” to you? So ZTE is the supposed hardware partner, though their involvement may have already been cut out since the US dropped the trade sanction hammer on them just this month, with allegations that they had tried to “illicitly re-export controlled items to Iran in violation of US export control laws.” That’s right, the Chinese company created a series of shell companies to try and hide the fact that they were supplying electronics to Iran, a country that is under trade embargo from the US. 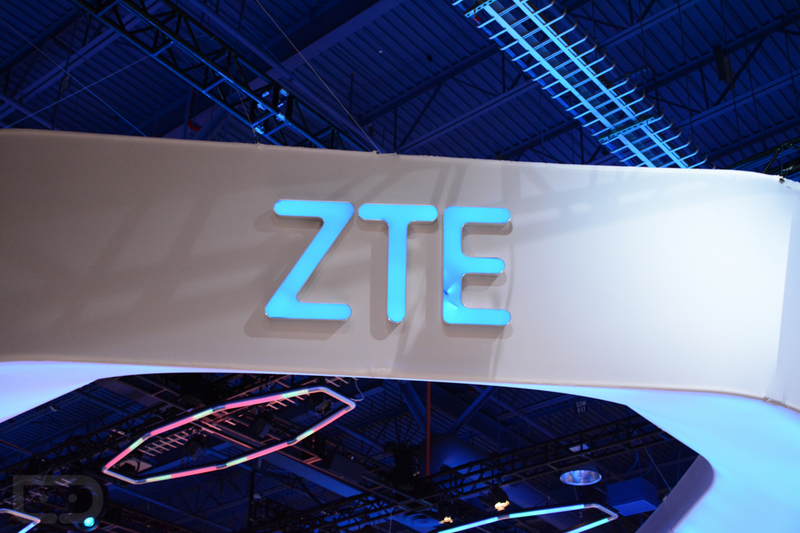 The plot was uncovered after documents of ZTE’s surfaced with not-so-subtle “TOP SECRET” and “HIGHLY CONFIDENTIAL” markings blasted across them were found by US investigators. But let’s say there is a plan B that involves another hardware manufacturer. The point of this Cyanogen-powered phone is to allow AT&T to push as much bloatware and garbage into a phone as you can possibly imagine, something Google probably won’t allow it to do, but Cyanogen certainly will, for the right price. That means deeply embedding DirecTV services into it, allowing Skype into the native dialer, and maybe even including visual voicemail at a system level. There is also talk of deeper Uber integration, along with Microsoft’s Cortana, Spotify, etc. Take all of that in for a second. OK, sell me on this being a good idea. Outside of this being a major step forward for Cyanogen, by getting their OS onto a US carrier for the first time, who else wins here? AT&T doesn’t benefit unless it sells millions upon millions of these and gets a major portion of the suckers who bought them to sign-up for DirecTV. Same with ZTE or whichever other borderline-US-trade-embargo-skirting manufacturer you want to throw in the mix. That sure doesn’t sound like something Google should be worried about. That sounds to me like three companies sat down at a table, decided on a theory to overtake big, bad evil Google, and then took their plans in an off-the-record format to try and grab some headlines and see a reaction. Good work!